The client runs a photo booth business. 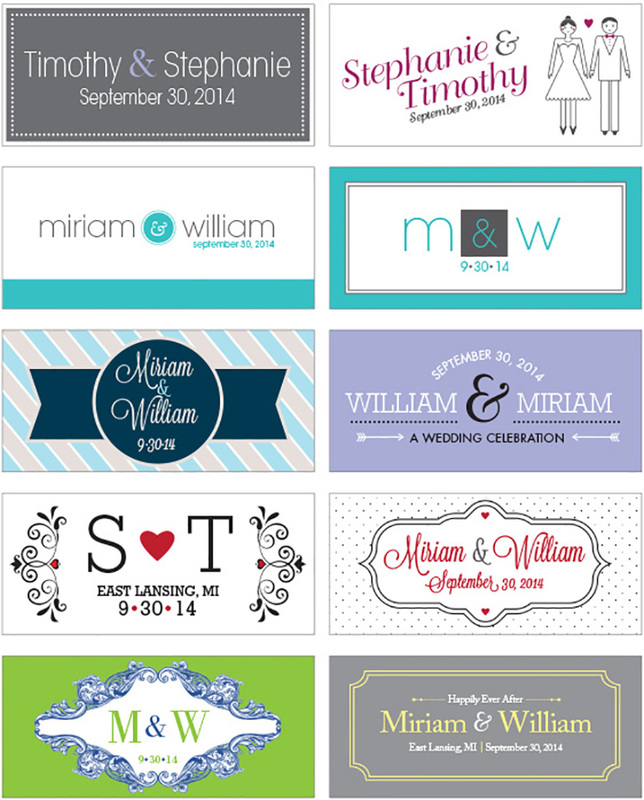 As part of this business, she provides customers with options for the logo for the wedding that is printed on the photo strips. She wanted some new options. 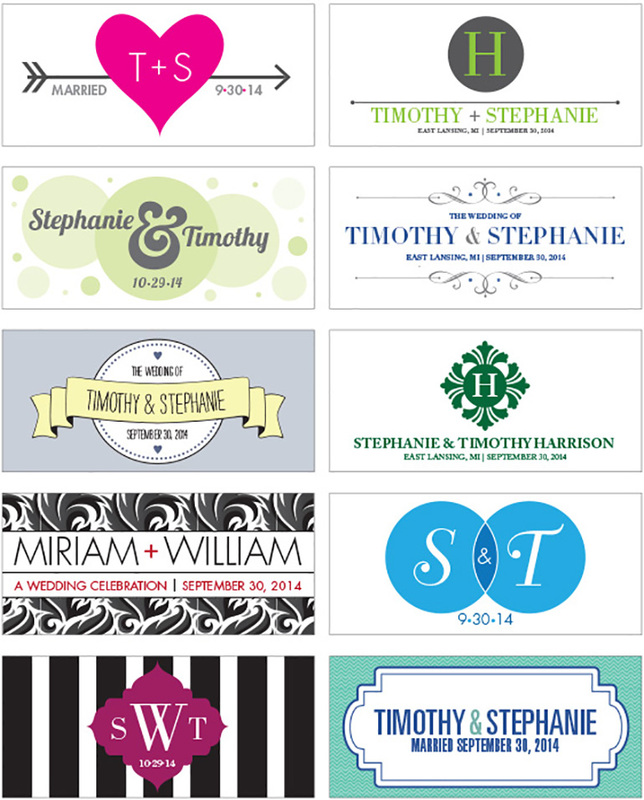 I wanted to create a wide range of options for her to accommodate all potential brides and wedding styles.